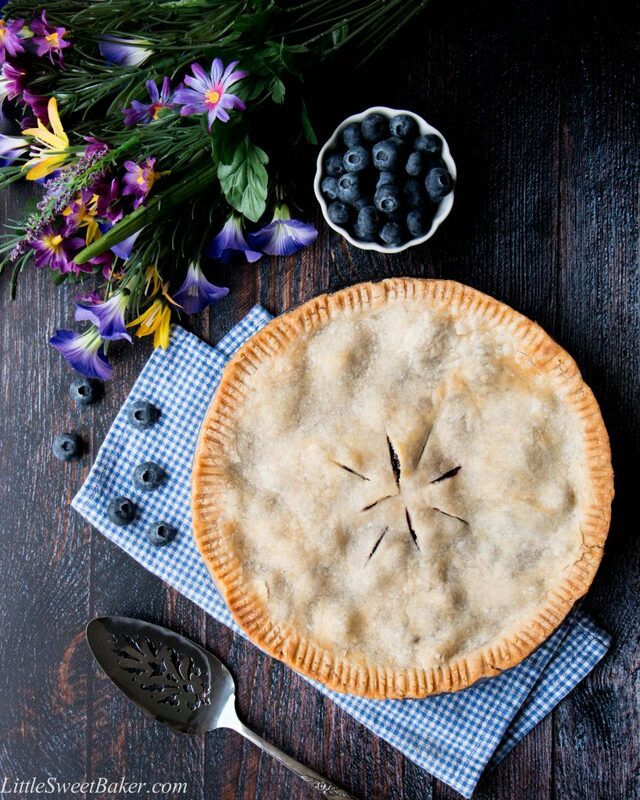 This is a tender flaky pie crust filled with juicy blueberry goodness – just like grandma used to make. 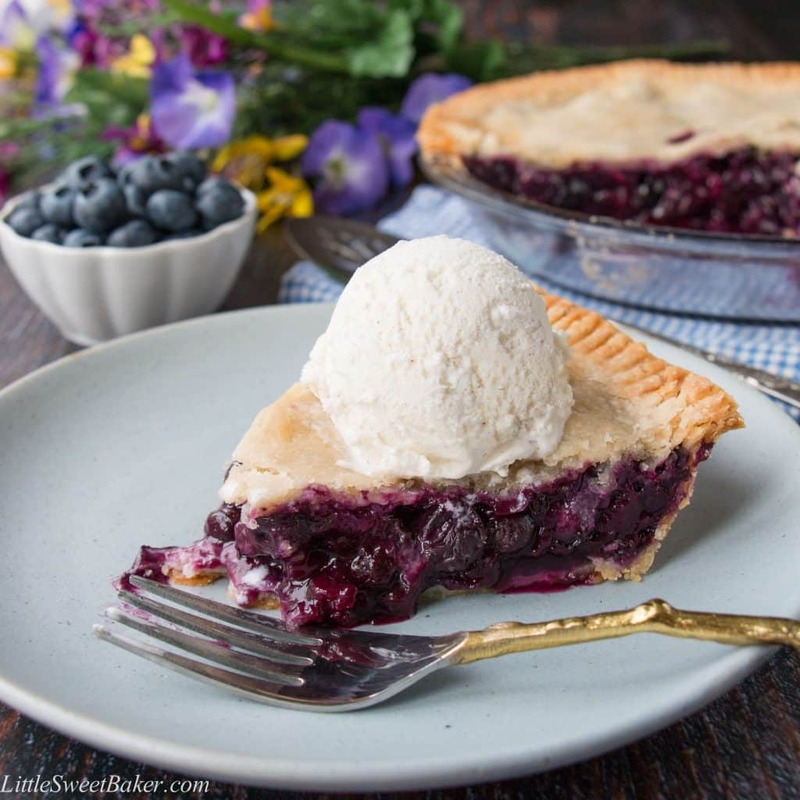 This homemade blueberry pie recipe is easy peasy, nothing fancy, just downright good! I’ve been craving blueberry pie since I watched an episode of Master Chef where one of the contestants, Terry Mueller, a big burly guy made an amazing blueberry pie. It even caught the attention of my 6 year old who asked if I could make him a blueberry pie. This recipe begins with my go-to flaky pie crust. It’s made with only 4 ingredients and there is no chiling required. It literally comes together in minutes and it’s the flakiest pie crust ever. I kept the filling very simple. There is some sugar for sweetness. I used flour as the thickening agent because I already had it out for the crust. There is a little bit of cinnamon and nutmeg for flavor, and a whole lot of blueberries, of course. 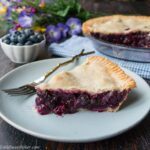 This homemade blueberry pie is packed with wholesome sweet blueberries all wrapped up in a delicate flaky crust. 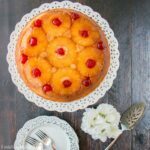 Each bite is bursting with natural fruit flavors and a crumbly buttery pastry. So, take advantage while fresh blueberries are in season and on sale, and make this pie, pronto! 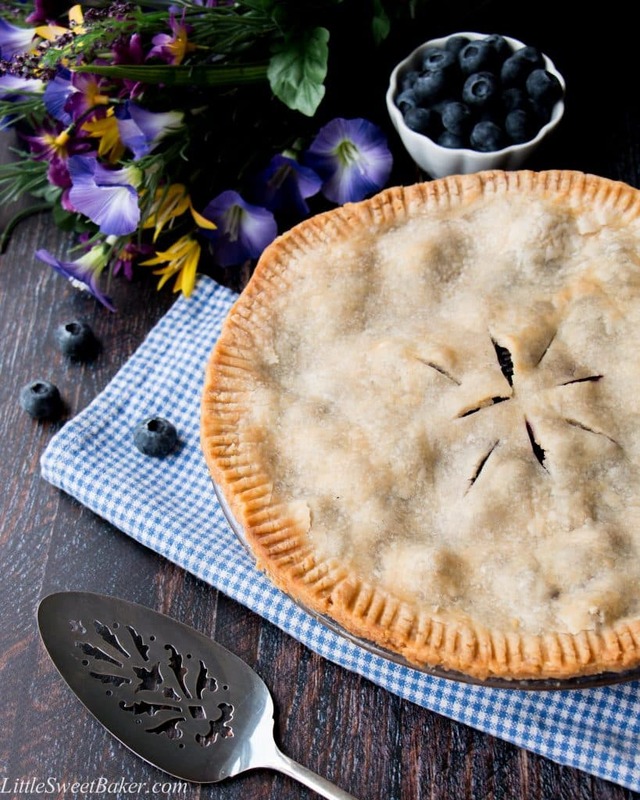 This homemade blueberry pie recipe is easy peasy, nothing fancy, just downright good! Preheat oven to 425F and position rack to lower third of oven. In a large bowl, sift the flour twice. Then whisk in the salt and create a little well. Divide into two parts. Roll the dough out in between 2 sheets of wax paper. Fit one of the pastry crust onto a 9″ round pie plate. Set aside. Place the top crust over the filling. Trim and press the edges together. Cut a few slits for ventilation. Bake at 425F for 15 minutes, then reduce the temp to 375F and bake for another 30 minutes or until the crust is golden and filling is bubbling. If the crust turns golden before the filling is done, loosely cover with foil to prevent from over browning. I covered my pie during the last 15 minutes. Serve warm and/or with some vanilla ice cream. Leftovers can be stored covered up in the fridge for up to 3 days.